When death struck a motor racing dynasty Jump to media player In May 2000, Kyle Petty's son Adam was killed in an accident on a Nascar track. Chris Froome and Sir Bradley Wiggins have dominated the Tour de France since Wiggins became the first Briton to win the three-week race in 2012. 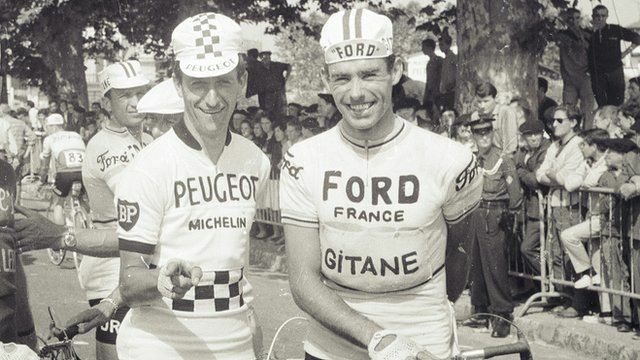 Back in the 1960s it was a very different picture with the sport's most gruelling event dominated by the French. In 1967, Tom Simpson was aiming to become the first British rider to take the crown of cycling's most prestigious road race. He had already won the Tour of Flanders and World Championships and was looking to win the Tour to cap a remarkable career. His cycling partner, Vin Denson, was at his side during that Tour and describes the fatal day Simpson tackled the mountain stage up the wind swept Mont Ventoux where temperatures often exceed 32C (90F).